Talk professional dive watches and the conversation inevitably turns to Rolex, but for many years, the Grand Seiko has been a quiet, competent and dare I say, superlatively finished professional dive watch at price points more accessible than your Rolex Sub. Then there’s the argument that the modern dive computer has rendered the professional dive watch redundant; is it really though? There’s a reason why NASA still sends her astronauts up with Speedmasters on wrist because if computers fail, multiple redundancies typically save your bacon, thank the Lord for professional dive watch. 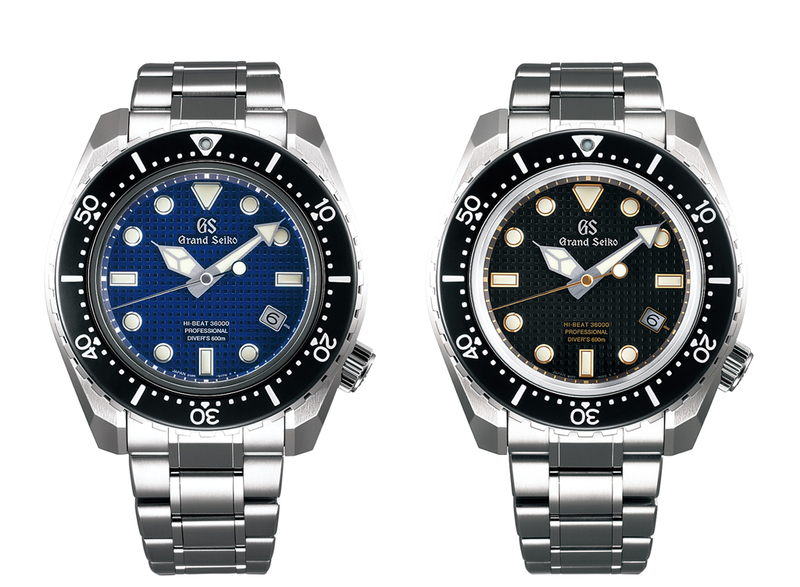 It is true that Grand Seiko has produced Diver’s watches for years now but they are from the Spring Drive line and now, the meticulous standards of Grand Seiko are expressed in a professional diver’s watch for the first time, replete with titanium case, an exclusive 9S hi-beat calibre and featuring new functionality – exceptional anti-magnetism. The Baselworld 2017 Grand Seiko Diver Hi-Beat 36000 Professional 600m enjoys all the high detail technical and decorative features of your standard (if such a word can ever be used to describe the brand) Grand Seiko. Chronometric precision is kept to -3 to +5 seconds a day (well within COSC specifications of average daily rates −4/+6), comparatively Rolex specifications are a self-imposed standard of -1 to +5 seconds per day; that said, it’s horological canon that Seiko and Grand Seiko often understate specifications. Featuring a never before seen “tapiserie” dial, the Grand Seiko Diver Hi-Beat 36000 enjoys excellent legibility, aesthetics, and durability thanks to the high-intensity titanium case and bracelet and the distinctive clean edges that only Zaratsu polishing can achieve. In terms of wrist presence, the new Grand Seiko Diver is unmistakably Grand Seiko and it’s interesting to note that though the case is designed for 600m saturation diving, it requires no helium-release valve (like on Omega Planet Oceans), this is because a Seiko innovation of combined heavy duty construction and L-shaped gasket work to provide valve-free helium resistance – a leg up on both Bienne manufactures. 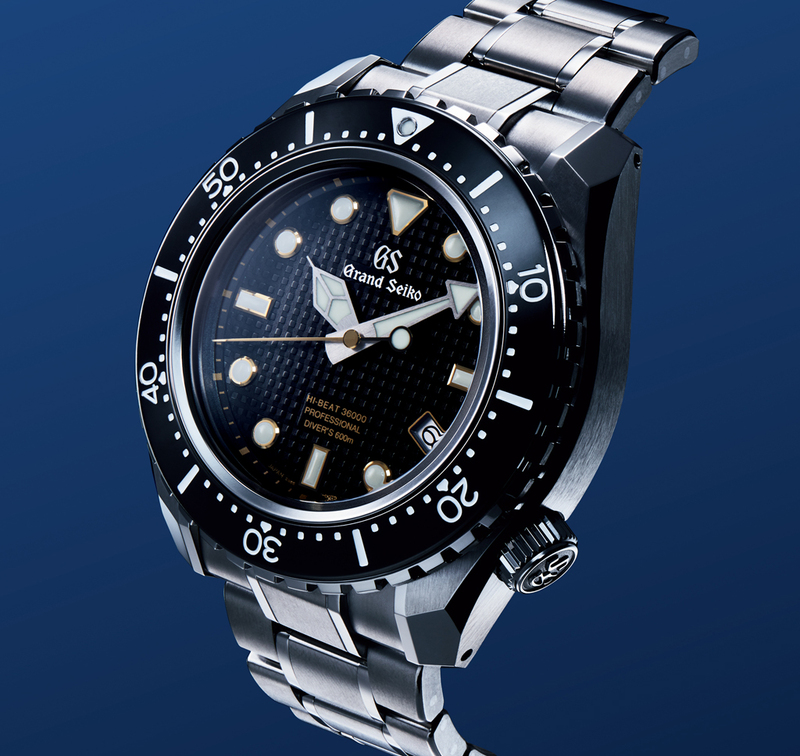 Other Grand Seiko functional touches include specially pronounced grooves on the rotating bezel for secure use, even with thick gloves and a bracelet with sliding extension setting to accommodate pressure changes similar to the Pelagos. While the checked dial might seem to be a design choice, it’s acutally purpose chosen iron to protect the movement from magnetism – the entire case serves as a faraday cage, delivering magnetic resistance of 16,000 A/m. The Baselworld 2017 Grand Seiko Diver Hi-Beat 36000 Professional 600m sets the tone for a newly independent Grand Seiko, the entirety of the watch is designed for long-term robust usage and easy servicing – the case, stem and crown and bezel are a four part design which makes for easy disassembly and re-assembly. 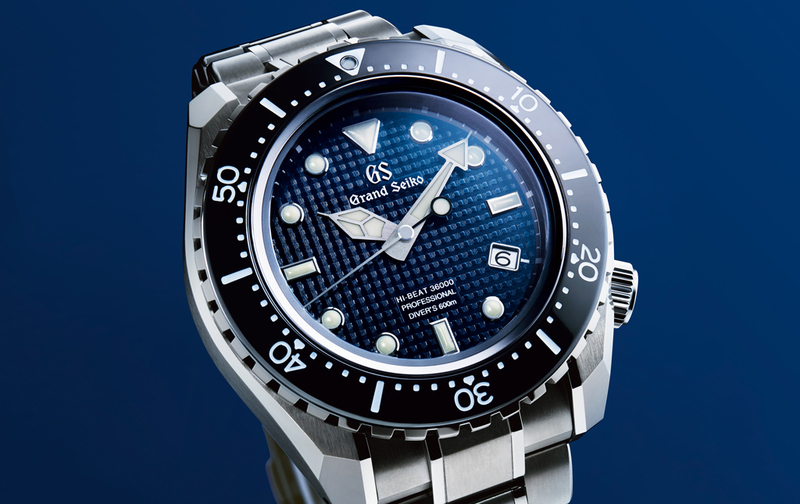 The limited edition 500 piece new Grand Seiko Diver is offered with Grand Seiko blue extra-strength silicone strap alongside the high-intensity titanium bracelet. Whereas a series production model with black dial will launch in a similar silicone and titanium strap configuration – both available from August 2017.